Well Autumn is here, it was quite chilly last night, only in the mid 40s. Great for sleeping. 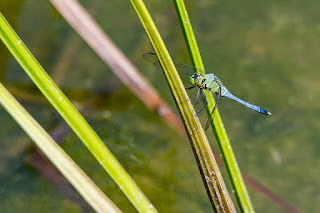 My image today goes back to a day in June where I captured a Pondhawk Dragonfly at a pond. it was resting for a moment on a reed so I got a quick shot.